Travis Manderson, Jimmy Li, David Cortés Poza, Natasha Dudek, David Meger and Gregory Dudek. "Towards Autonomous Robotic Coral Reef Health Assessment". The Conference on Field and Service Robotics (FSR), 2015. David Meger. "Feature Based Human Face Detection and Tracking". 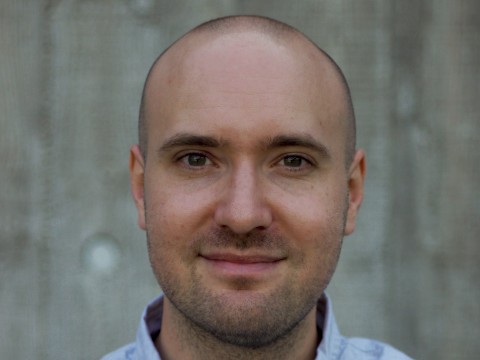 UBC Honours Computer Science Thesis (undergraduate). Supervised by David Lowe and Elizabeth Croft. Legged swimming robots, such as the Aqua platform, present a difficult control problem due to fluid dynamics, force effects of varying time-scales, and the general challenge of working underwater. As a postdoc at McGill's Mobile Robotics Lab, I have lead a project to improve Aqua's control systems, which has involved the use of state-of-the-art techniques in learning from reinforcement. We began by extending Aqua's control system to better handle 3D motions such as barrel rolls and cork-screws. We have also considered the HRI problem facing a diver programming the robot to execute such motions productively. Our results appeared at IROS 2014 ([3D Trajectory Synthesis and Control for a Legged Swimming Robot]). Recently, we have demonstrated the learning of novel gait types from experience, based on Gaussian Process dynamics models learned from experience data. This work was a best paper award finalist at ICRA 2015 ([Learning Legged Swimming Gaits from Experience]). The main focus of my PhD thesis was recognizing objects along with their 3D location, scale and pose using sensor data from multiple views. I considered this problem in indoor kitchen scenes using domestic robots and in outdoor urban driving scenes using on-board data from cars. The methods developed include probabilistic models that combine geometry and learned appearance information derived from labelled training images. 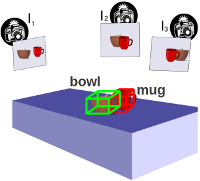 The use of 3D geometry is particularily effective for recognizing objects that are partially occluded, such as a bowl on a messy table, or the cars in a parking lot. In some of the cases that I've studied, my methods outperform the state-of-the-art for this task, and the work continues to make the methods more general and scalable. I have collected a large dataset of geometrically registered robot data of kitchen scenes called the UBC Visual Robot Survey (VRS). 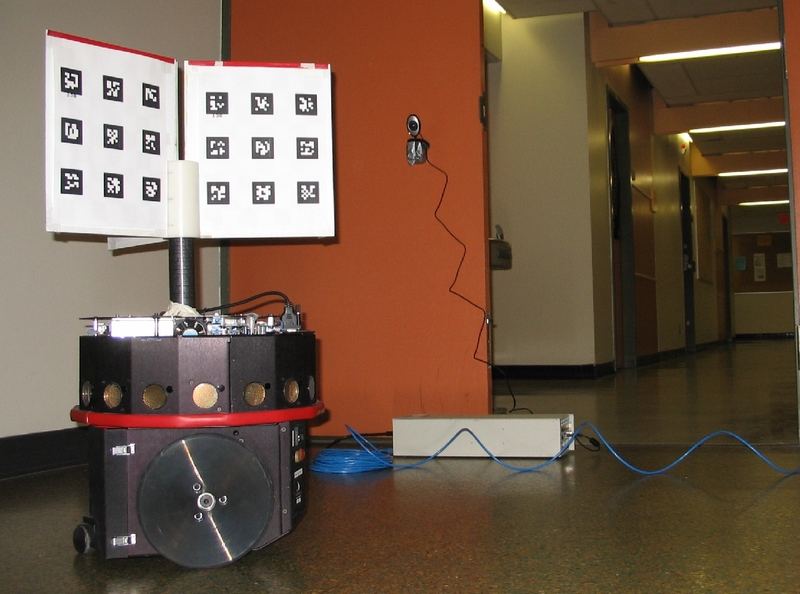 The goal of this dataset is to allow "simulation with real data" for the task of determining the objects present nearby a robot that moves through an environment. Dataset features include the ability to query for numerous "views" of every scene, and the possibility to give simulated control actions that select from the data in a way comparable to what a robot would really see for the requested path. The data is annotated to allow experimental comparison against ground truth. All of the data, instructions and support code are available to the community at the [UBC VRS project page] . Many important real-world tasks require automated visual understanding, but this problem is usually studied in controlled lab environments. In order to test our methods in the wild, a team of graduate students, including myself, have built a system we call [Curious George]. This robot platform targeted at being an active explorer, like its namesake, has entered the [Semantic Robot Vision Challenge], an international contest requiring robots to find items in the world based on training data collected automatically from the internet. Our team placed first in the robot league of the SRVC for 2007 and 2008 and won the software league in the most recent 2009 contest, outperforming competitors from other institutions from around the globe. Rapid access to information is essential during disaster situations. At [GEOSYS Technology Solutions], I've been developing an automated surveillance system that collects aerial images using an Unmanned Aerial Vehicle (UAV), transfers and processes these images in realtime, and delivers an up-to-date view of the situation to disaster managers. Sub-problems in this project include automated feature matching and bundle adjustment to recover accurate vehicle pose information, and a pipelined (parallel) image processing architecture to deliver data as rapidly as possible. 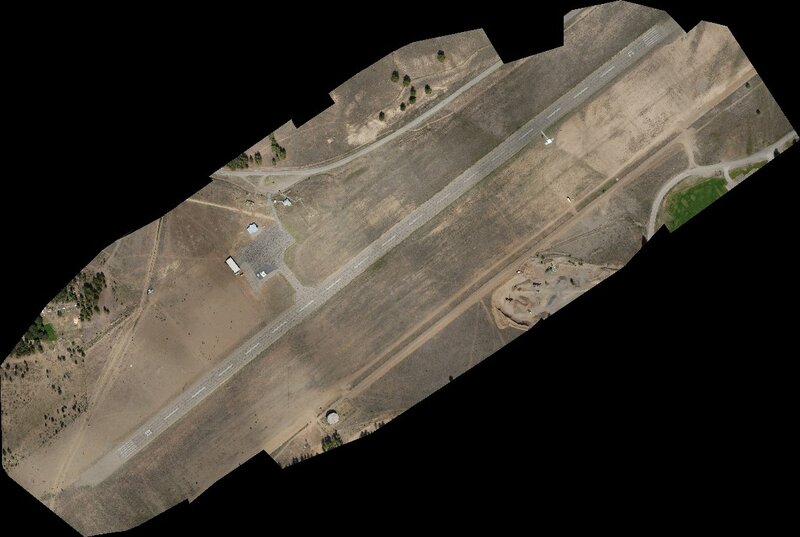 Check out my project page for an update on the most recent work on UAV mapping [here]. During my M.Sc. at McGill University's [Mobile Robotics Laboratory], I worked on a project which utilized images from static cameras in an environment (such as a building security system) to aid a mobile robot with mapping and navigation, as well as allowing a map of the camera locations to be constructed. We're continuing to collaborate on this project as it's proven to be an excellent test scenario to explore robust position inference methods, and planning approaches that allow a robot to explore an environment with minimal uncertainty in its resulting map estimates.